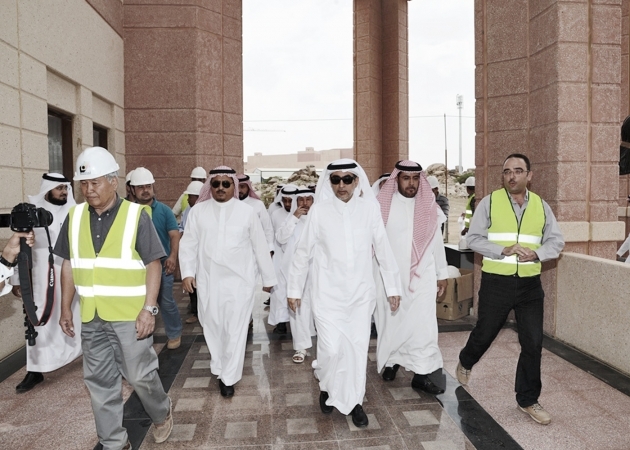 Education Minister inaugurates university initiatives and inspects its projects. The Minister of Education, Dr. Azam Mohammad Al-Dakhil yesterday morning (Thursday), inaugurated a number of development projects. 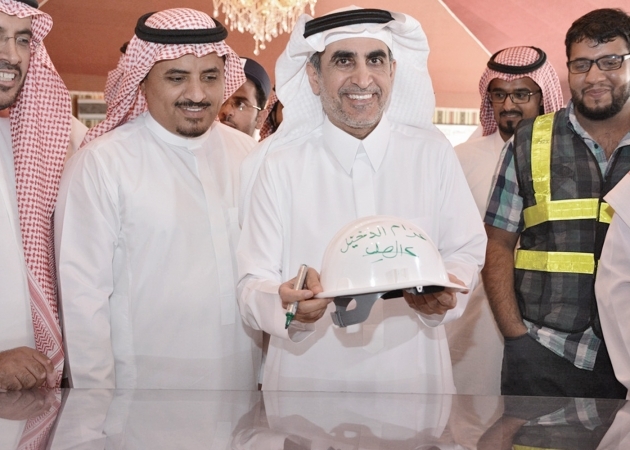 The inauguration took place at the headquarters of king Khalid University in Abha. The event was attended by the Minister of Health Engineer Khalid Al-Faleh, the Rector of king Khalid University, Prof. Abdulrahman bin Hamad Aldawood, and a number of Saudi universities Presidents. The event came on the sidelines of the consultative meeting of the Presidents of the Saudi universities. The projects inaugurated included an initiative called "the paperless University"; an initiative of King Khalid university to activate a number of electronic transactions, represented by the integrated electronic acceptance to the secondary school graduates without documents or paper. In addition, the initiative included the electronic registration, which works to provide multiple electronic services for university students, and the e-learning which deals with the learning management system, as well as electronic examinations. This is an initiative through which examinations are conducted using tablet device instead of paper examination. Also inaugurated was the "Enjaz" program. It is an integrated electronic system for correspondence and electronic archiving. The program saves almost 30 million programs annually and works on archiving 5 million documents electronically. Another inaugurated project was 'Majales'; a special electronic system set up for controlling meetings, such as meetings of the University Council and the meetings of colleges and deanships. Among the initiatives that have been launched also, was 'our science platform'; an initiative of the Deanship of e-learning. The initiative is an open educational platform, which allows the student, the teacher, and all who are interested in education generally, to make use of the service whenever and wherever. The initiative was launched by 2,500 tutorial videos in various fields of science, with more than 20,000 free educational minutes. The education minister further launched the newly designed portal of the university, which not only appears in a new suit but also provides 1,165 multiple services, which are gathered in one electronic gateway named 'mykku'. The new portal of the University features technical specifications. After that, the education Minister and his accompanying delegation paid a visit to the projects of the University City in Al-Farah, at where they were received by the university Deans and Vice - Presidents.Azam Mohammad Al-Dakhil yesterday morning (Thursday), inaugurated a number of development projects. 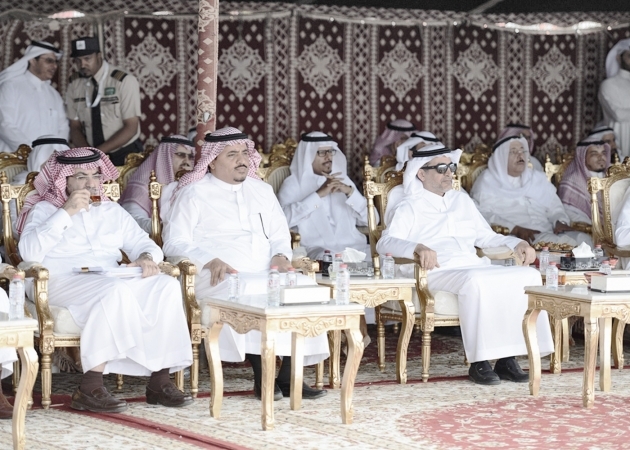 The inauguration took place at the headquarters of king Khalid University in Abha. 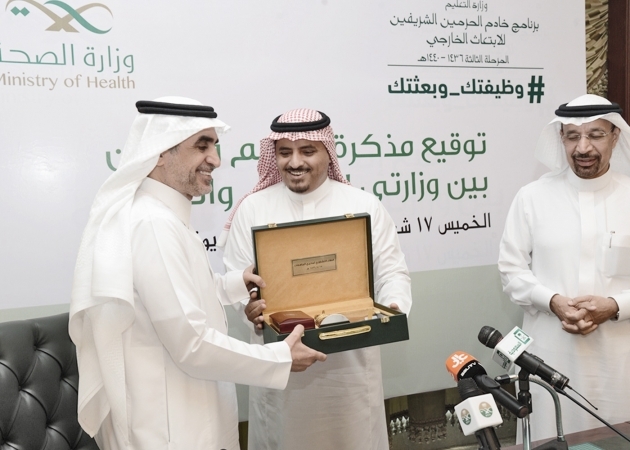 The event was attended by the Minister of Health Engineer Khalid Al-Faleh, the Rector of king Khalid University, Prof. Abdulrahman bin Hamad Aldawood, and a number of Saudi universities Presidents. The event came on the sidelines of the consultative meeting of the Presidents of the Saudi universities. The projects inaugurated included an initiative called "the paperless University"; an initiative of King Khalid university to activate a number of electronic transactions, represented by the integrated electronic acceptance to the secondary school graduates without documents or paper. In addition, the initiative included the electronic registration, which works to provide multiple electronic services for university students, and the e-learning which deals with the learning management system, as well as electronic examinations. This is an initiative through which examinations are conducted using tablet device instead of paper examination. Also inaugurated was the "Enjaz" program. It is an integrated electronic system for correspondence and electronic archiving. The program saves almost 30 million programs annually and works on archiving 5 million documents electronically. Another inaugurated project was 'Majales'; a special electronic system set up for controlling meetings, such as meetings of the University Council and the meetings of colleges and deanships. Among the initiatives that have been launched also, was 'our science platform'; an initiative of the Deanship of e-learning. The initiative is an open educational platform, which allows the student, the teacher, and all who are interested in education generally, to make use of the service whenever and wherever. The initiative was launched by 2,500 tutorial videos in various fields of science, with more than 20,000 free educational minutes. The education minister further launched the newly designed portal of the university, which not only appears in a new suit but also provides 1,165 multiple services, which are gathered in one electronic gateway named 'mykku'. The new portal of the University features technical specifications. After that, the education Minister and his accompanying delegation paid a visit to the projects of the University City in Al-Farah, at where they were received by the university Deans and Vice - Presidents. At the beginning of the tour, The honorable education minister listened to a detailed explanation of the projects of the University City in Al-Farah. He was also briefed on a maquette of the whole project and listened to a detailed explanation from the Vice - President for Projects Dr. Sulaiman Alsoyan. The city is one of the largest educational institutions in the world, and it is located on an area of 8 million square meters. The volume of buildings and constructions is three million square meters and it can accommodate more than 100,000 people. In addition, the University City contains a large number of colleges and deanships, support and research centers and housing for faculty members as well as some student who reside there. The University City further embraces the largest specialized media center, in addition to the Sport City which can accommodate more than 20,000 spectators. Subsequently, the education minister was briefed on the building of the Supportive deanships, the administrative building of the university, and the Central Library. In addition, Dr. Al-Dakhil was briefed on the service tunnel which runs for approximately 17 kilometers to serve the entire University City. He was also briefed on the university hospital building and the medical colleges. It is noteworthy that the University City Project in Al-Farah will serve the region medically, academically and as a tourism sector. The project will house medical city students, and it will contain the medical complex, the Faculty of Medicine, the Faculty of Applied Medical Sciences, the Faculty of Dentistry, the Service Center, the Faculty of Pharmacy, the Joint Classrooms, the Conference Room, as well as the University Hospital, which was designed to accommodate 800 beds within nine floors. The University Hospital includes all medical specialties as well as two advanced wings for surgical operations with a capacity of 16 different equipped rooms, and more than 240 outpatient clinics rooms which can receive more than 3,500 patients per day in all medical specialties. Also, the University City project includes the largest theater in the Kingdom, (with a capacity of 4,600 seats). This theatre will serve the region in touristic artistic and activities. The project also contains a number of colleges for boys represented in the Faculty of Sharia and the fundamentals of Islam, the Faculty of Education, the Faculty of Arts, and the Faculty of Administrative Sciences. There will also be the Faculty of Science, the Faculty of Engineering, the Faculty of Computer Science, the Faculty of Languages and Translation, the Faculty of Medicine, the Faculty of Dentistry, Faculty of Pharmacy, the Faculty of Applied Medical Sciences, and the Faculty of Nursing. In addition, there is a separate similar complex for the Faculties of girls to meet the needs of the labor market according to their desired disciplines.